This has been whizzing around the bloggersphere and the Twittersphere and I had no idea what this was until I first saw it mentioned a few weeks ago. Since then I have been deliberating whether to give it a shot. I have decided to give it a go! I have a lot of commitments which means this is going to be extremely difficult but I’m certainly willing to give it a go. I believe the goal is to publish a blog post once a day from December 1st until December 25th – Christmas Day!!! 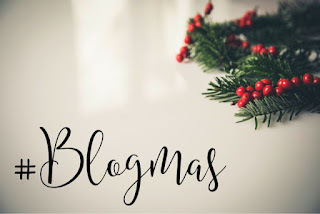 I’m aware that a lot of bloggers will be doing this but I don’t envisage every blogger who starts off the beginning of December saying “I’m doing blogmas!” to actually complete all 25 days! And yes that includes me! Are you doing Blogmas? Let me know in the comments if there are any rules I didn’t know about or even just a link to your blog so I can have a read!